An essential part of keeping your garden looking its best and feeling its healthiest is tree pruning, but not many of us know the ins and outs of this important process. Tree pruning can have such a positive impact on the life of your garden and also help to keep it clean and safe, so it’s something that all homeowners and gardeners should be aware of. Although the there’s no denying the importance of the pruning process there is also a lot of uncertainty about it. People often wonder when the ideal time to prune your trees might be and why it’s so important, and we’re here to give you the answers so you’ll be better equipped to help your favorite trees grow to their best. Before we can get into the types of pruning you might want to do and when exactly to do them, we need to be clear about what exactly tree pruning is. Too many people think that can simply cut down a few branches or leaves from their tree and they’ve completed the pruning process, but it’s actually a lot more delicate than that. Pruning refers to the process of removing dead, damaged or diseased branches and stems from a tree, with the main purpose being to improve the look and health of the tree itself. However, within this basic explanation, there is a lot more to the process that will determine how successful your pruning efforts are and if you’re helping the trees or actually doing more damage to them in the long run. Pruning is always best done with the help of tools, and depending on the type and size of trees in your garden, your toolkit may differ somewhat. 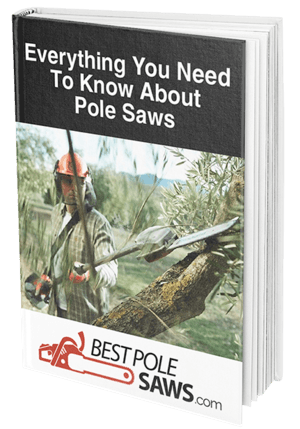 Traditionally, most people use some simple pruning shears as well as a long pole saw that allows you to reach higher branches, however, it is possible to add more equipment to this if you need. With an understanding of what is tree pruning, you’ll be able to see how many benefits it has when you use the right tools to get the job done. Here are a few benefits you can achieve from the right type of pruning done at the right time. Safety - One of the most popular benefits of pruning is the safety aspect, as a good pruning can prevent branches from rubbing on roofs, hitting power lines, and obstructing walkways. Health of your tree - In order to stay free from fungi and grow to their strongest, trees need to be pruned regularly. Pruning can also help to remove damaged or diseased branches and stems from a tree which will improve the overall health of the tree. Appearance - Pruning is commonly done for aesthetic value and it can help you keep the natural shape of your trees or create something more dramatic, depending on the look you’re trying to achieve in your garden. Adjust tree’s growth - When pruned correctly, this process can have two main effects on your tree. Pruning can help to stimulate growth and bring new flowers and bard into sight. Alternatively, pruning can also restrict growth if you’re trying to maintain a specific size or shape of a tree. People commonly think that there’s one type of pruning that will cover all of your tree’s needs, however, this isn’t necessarily the case. Because there are different reasons for pruning, there are different types of pruning to meet these needs, so it depends on what your tree requires. Deadwooding - This refers to the act of removing dead branches from a tree and is the most common form of pruning. Dead branches eventually decay and fall off themselves, however, in the process, they can be taking vital nutrients and water from the rest of the tree and so it’s best to remove them. Crown And Canopy Thinning - This process is intended to improve light conditions and it involves reducing the number of branches and leaves at the top of the tree where the light filters through. This process can also help to strengthen a tree and is recommended when harsh weather conditions are predicted as it can reduce the damage done. Crown Canopy Lifting - This involves the removal of the lower branches only and usually only lifts them to about a third of their height higher. The most common reason that someone might lift the crown canopy is for access, such as above a pedestrian walkway or to sit underneath the tree. Reduction - Reduction pruning is best used when you’re trying to limit the growth of a tree that is spreading outwards or upwards. This pruning is used to clear obstructions such as a tree coming near an electricity line or simply to tidy up the look of your garden. In addition to knowing what type of pruning is best, you should also understand more about when to prune. Too many people make the mistake of over-pruning or doing it too regularly, so the best time is to aim for just once a season. However, if there are circumstances such as impending bad weather or the clear up from a storm, this can be done as needed provided it doesn’t do any harm to your tree. If you’re pruning to remove dead, diseased or damaged branches, you can usually do this as required. The experts believe that late winter or early spring is the ideal weather conditions to prune, so try to make this your annual pruning time if you’re able to. Pruning in the correct style and at the right time of year will give you all of the aforementioned benefits and more, provided you’re working with quality tools and a careful touch.